Eagle F1 Asymetric: Proprietary Goodyear Technologies. 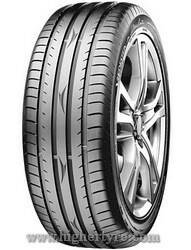 Eagle F1 Asymetric tyres were developed using the Active Braking technology, which increases a contact patch and adherence while braking. The proprietary rubber mixture includes a special component – sticky resins for better surface adherence. Such qualities are sufficient for dry and wet road conditions.